Manufacturers & Exporters of Nickel Alloy 200 Pipes & Tubes, Nickel Alloy UNS N02200 Seamless Pipes & Seamless Tubes, Nickel 200 Welded Pipes & Welded Tubes in India. 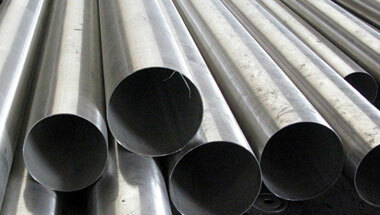 Neon Alloys is a well-known manufacturer & Exporters of Nickel 200 Pipe & Tubes. Nickel 200 Pipe are usually used in industries such as construction, oil extraction, medicine, food, paper, machinery, chemicals, food containers and others. Nickel Alloy 200 is technically pure nickel with good mechanical properties and excellent resistance to alkali hydroxides as well as organic compositions. Even when exposed to high temperature. Alloy 200 retain its strength and is ductile at low temperature. The Nickel 200 Pipes & Tubes are manufactured to sustain very high pressure and product warranty. The main reason being we have an excellent warehousing and storage facilities for both finished and semi finish goods. Designed as per international and national standards, these Nickel 200 Seamless Pipes & Tubes are offered in customized length sizes and shapes to our esteemed clients. Also referred as UNS N02200, we offer these Nickel Seamless Pipes & Tubes at best possible rates in the market. Our product includes tubes and pipes, Nickel 200 Pipes, Nickel 200 Tubes, Nickel 200 Seamless Pipes & Tubes etc. These products are available at best possible prices which is another important feature exhibited by our products range. Nickel 200 Pipes, Nickel 200 Tubes, Nickel Alloy Werkstoff Nr.2.4066 Seamless Pipes & Tubes, Nickel 200 Welded Pipes Supplier, Nickel Alloy 200 EFW / ERW Pipes & Tubes Exporter in India. Peru, Cameroon, Kuwait, Uganda, Africa, New Zealand, Democratic Republic of the Congo, Italy, Israel, Australia, Kazakhstan, Jordan, Tunisia, Algeria, Azerbaijan, London, Iran, Nigeria, Egypt, South Africa, Russia, Dubai, Ghana, Venezuela, Sudan, Turkey, Iraq, United States, Germany, Bahrain, Malaysia, Chine, Thailand (Bangkok), Angola, Mozambique, Sri Lanka, Indonesia, UK, Trinidad and Tobago, Brazil, Argentina, UAE, Canada, Ethiopa, Colombia, Mexico, Saudi Arabia, Morocco, Vietnam, Houston. Kaduna, Aqaba, Lubumbashi, Kolwezi, Alexandria, Maiduguri, Port Elizabeth, Abidjan, Sharm el-Sheikh, Bulawayo, Singapore, Riyadh, Omdurman, Data from the UN, Luanda, Muscat, Pretoria, Conakry, Durban, Dubai, Brazzaville, Algiers, Douala, Zaria, Giza, Ouagadougou, Lusaka, Tel Aviv, Yaoundé, Bamako, Dakar, Byblos, Doha, Amman, Accra, Dammam, Mecca, Johannesburg, Tripoli, Kampala, Lagos, Subra al-Haymah, Ibadan, Cape Town, Fez, Bethlehem, Tehran, Beirut, Hong Kong, Antananarivo, Casablanca, New York, Rabat, Jerusalem, Abu Dhabi, Mbuji-Mayi, Harare, Kinshasa, Nairobi, Dar es Salaam, Khartoum, Maputo, Addis Ababa, Istanbul, Soweto, Kano, Freetown, Mogadishu, Colombo, Port Harcourt, Jeddah, Manama, Cairo, Cairo, Benin.